1. 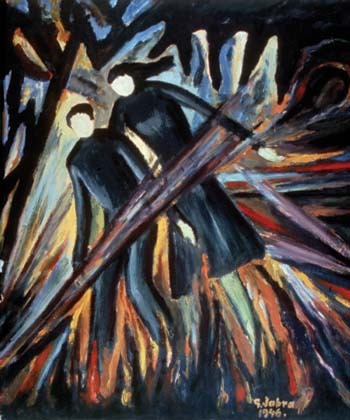 Jabra Ibrahime Jabra, "Air Raid," 1946. Oil on paper. 2. 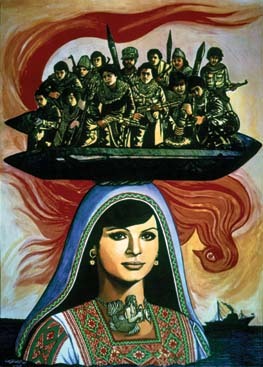 Mustafa Al Hallaj, "Battle of Karameh," 1969. Masonite cut, 31 x 41.5 cm. 3. Mustafa Al Hallaj, untitled, 1979. Masonite cut on paper. 50 x 70 cm. 4. Mustafa Al Hallaj, untitled, 1980. Masonite cut, 70 x 99 cm. 5. 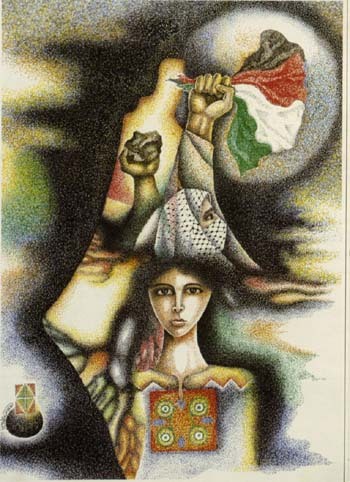 Burhan Karkutly, "Yes to Palestine," 1982. Ink on paper. 6. 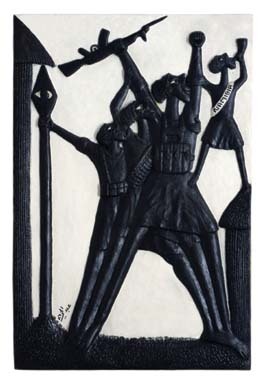 Abdal Rahman Al Mozayen, "Fighters," 1971. Oil on canvas, 70 x 50 cm. 7. 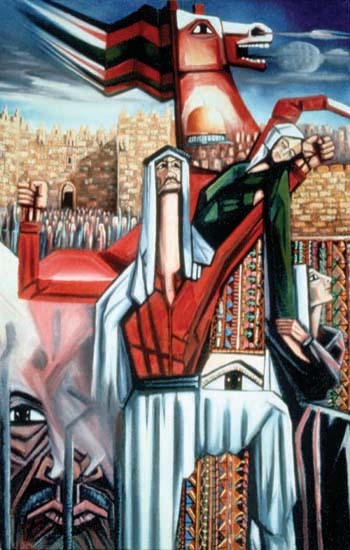 Abdal Rahman Al Mozayen, "The Martyr Dallal Al Mughraby," 1987. Oil on canvas, 80 x 60 cm. 8. 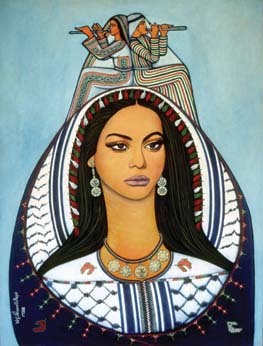 Abdal Rahman al Mozayen, "Hope and Return," 1986. Oil on canvas, 80 x 60 cm. 9. 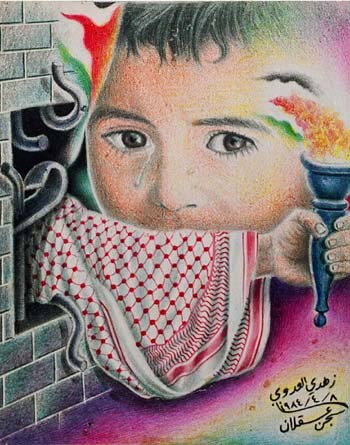 Abdal Rahman Al Mozayen, "Intifada: Against Fascism," 1988. Ink on paper, 65 x 50 cm. 10. Abdul Hay Musallam, "Namibia," 1986. 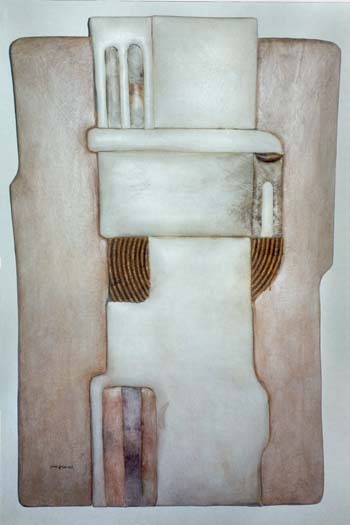 Painted wood relief, 75 x 50.5 cm. 11. 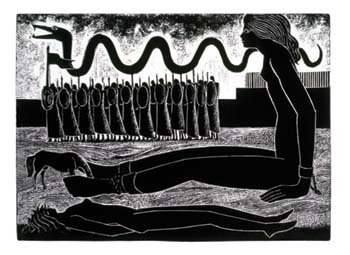 Abdul Hay Musallam, "The Certain Necessity of Victory," 1995. 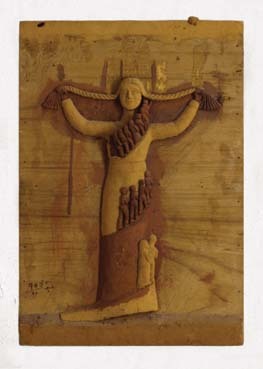 Painted wood relief, 63 x 44 cm. 12. 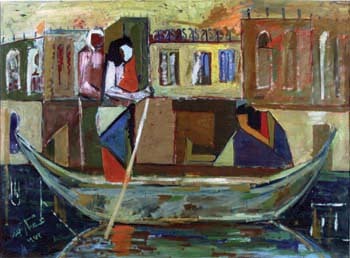 Mona Saudi, Dawn, 1986. Canadian granite, 55 x 55 x 14 cm. 13. 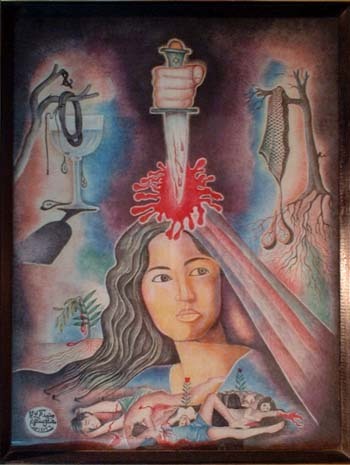 Mona Saudi, Fertility, circa 1991. Jordanian pink limestone, 25 x 20 x 10 cm. 14. 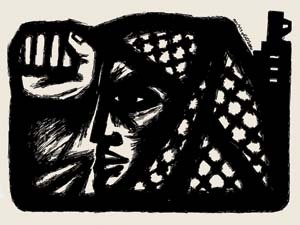 Isam Badr, "There Was Love," 1973. Oil on canvas, 80 x 100 cm. 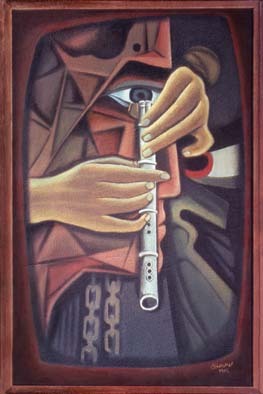 15.Kamel Al Mughanni, "Continuity of the Tune," 1974. 16. 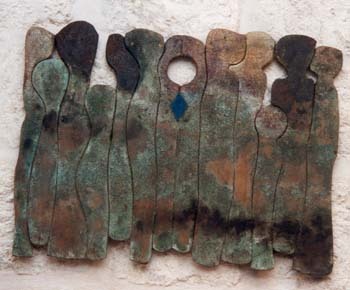 Fathi Ghaban, "Hawiyya" (Identity), 1980. Oil on canvas, 100 x 70 cm. 17. 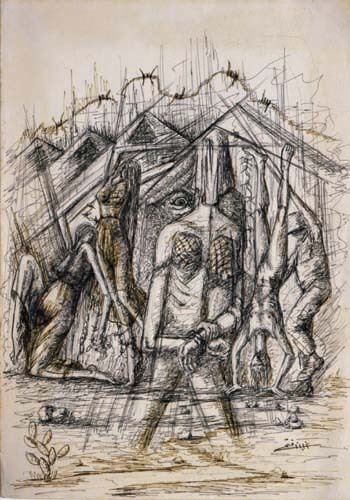 Fathi Ghaban, "Torture at Ansar Prison," 1984. Pen on paper, 35 x 25 cm. 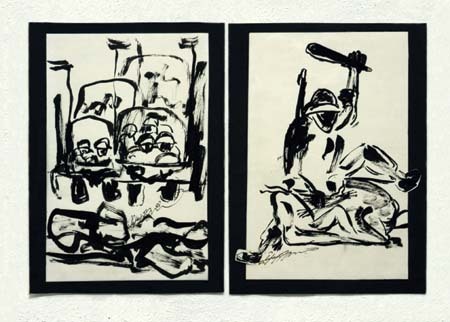 18. left: Fayez Sersawi, Path of Destruction, 1988. Ink on paper, 38 x 26 cm. 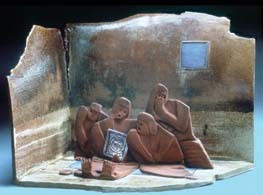 18. right: Fayez Sersawi, Rabine Policy Breaking Bones, 1988. Ink on paper, 38 x 27 cm. 19. Fayez Sersawi, A Bird Living in a Woman’s Hair, 1992. 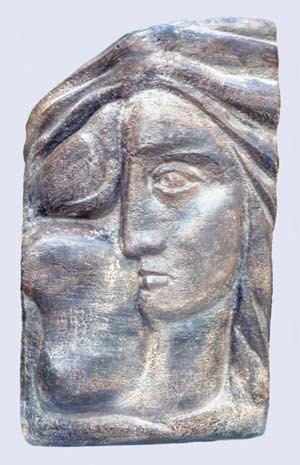 Stone, 60 x 30 cm. 20. 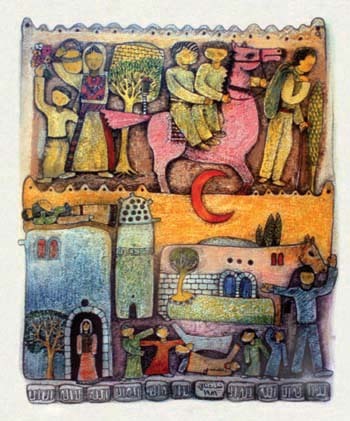 Nabil Anani, "Beit Rifa," 1985. Watercolor on paper, 42 x 30 cm. 21. 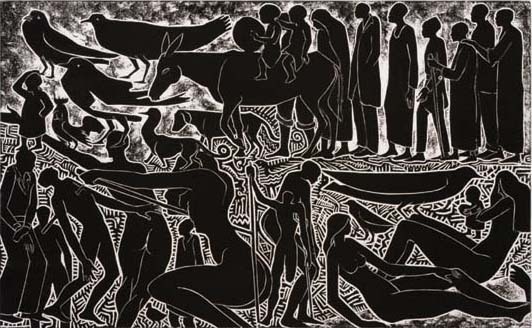 Nabil Anani, "Village Construction," 1993. Leather and straw, 85 x 60 cm. 22. 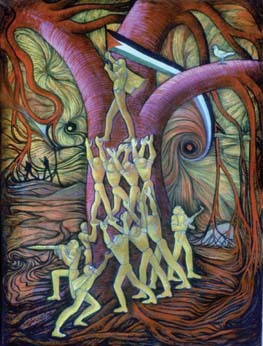 Nabil Anani, "Solidarity," 1994. Mixed media on wood, 60 x 85 cm. 23. 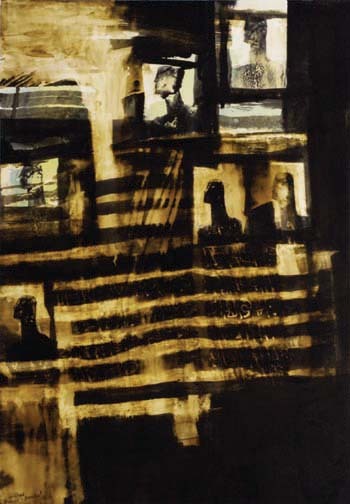 Tayseer Barakat, untitled, 1992. Watercolors on paper, 70 x 50 cm. 24. 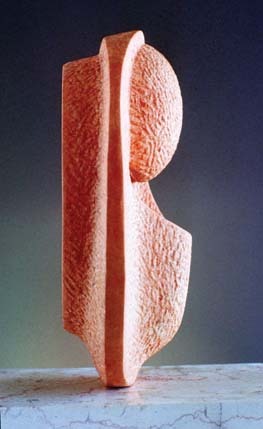 Tayseer Barakat, untitled, 2001. Ink and dyes on paper, 68 x 48 cm. 25. Sliman Mansour, "U.N. 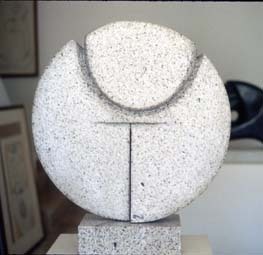 Relief," 1984. Oil on canvas, 80 x 60 cm. 26. 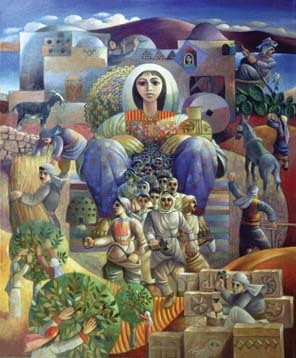 Sliman Mansour, "The Village Awakens," 1988. Oil on canvas, 90 x 115 cm. 27. 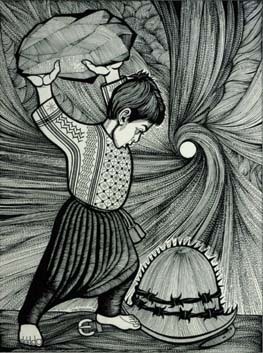 Vera Tamari, "Rhythms of the Past II," 1994. Assembled ceramic sculpture, 14 x 20 x 17 cm. 28. 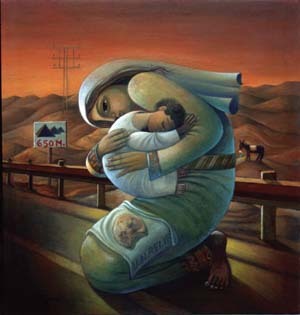 Vera Tamari, "Um Al Shaheed" (Mother of the Martyr), 1989. 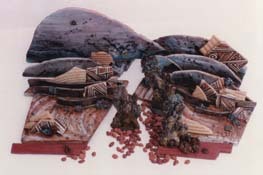 Ceramic sculpture, 30 x 28 x 16 cm. 29. 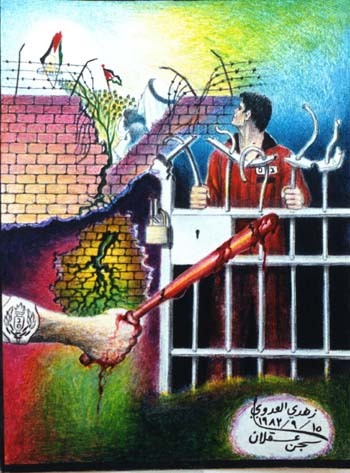 Zuhdie Al Adawi, "Day of the Palestinian Prisoner," August 21, 1984. 15 ½ x 13 ¼". 30. 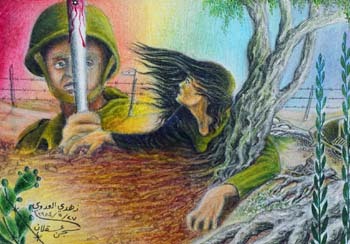 Zuhdie Al Adawi, "Hope," August 25, 1984. 14 ¾ x 11 3/8"
31. 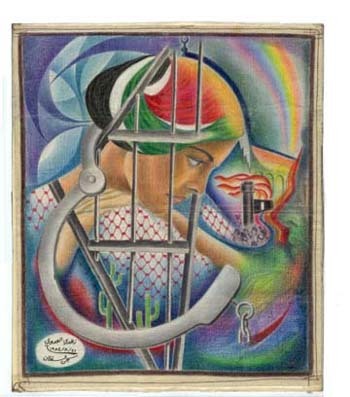 Zuhdie Al Adawi, "Stronger than the Battering Rod," 1984. Crayons on cloth, 16 x 12 cm. 32. Zuhdie Al Adawi, 1984. Crayons on cloth, 16 x 12 cm. 33. Muhammad Al Rakoui, untitled, 1983. Mixed media on cloth, 39 x 30 cm. 34. 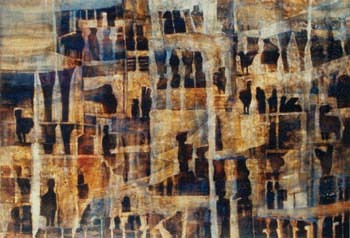 Muhammad Al Rakoui, untitled, 1999. 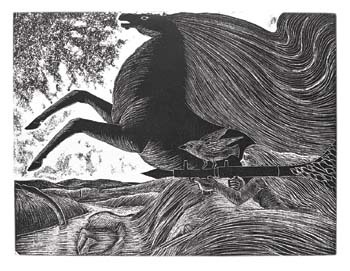 Lithograph, 14 x 24"